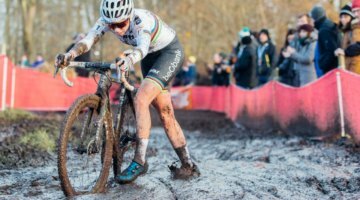 The 2016 Koppenbergcross brought a new, hilly course that took racers to the top of the Koppenberg, but removed the lower field and parts of the tricky descent that delighted fans with some treacherous racing when muddy (we’ll guess nothing will beat the race in 2008 for drama, see video here). 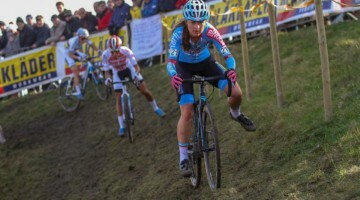 American Kris Auer made the trip to take in the 2016 Koppenbergcross, and caught up with some of the women who raced the famed cobbled cyclocross race. He asked about their races, the new course, racing in America, and about the unique equal pay the race women. Auer asked the question about equal pay quite modestly, but is intimately familiar with the issue. 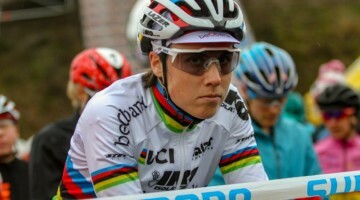 Auer is the former owner of the Twenty20 bike shop and is responsible for providing equal pay for women at the Koppenbergcross starting with the 2014 race, and funded it through a creative raffle. 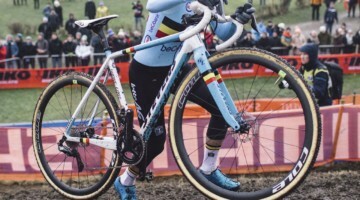 Although Auer now leads up Challenge Tires North America, the Koppenbergcross has continued to offer equal pay for women. What’s most surprising from his interviews is the near-unanimous opinion that the older course was preferable. All racers seemed to agree that the dry conditions created for a brutally bumpy day. See the individual interviews below, or watch the entire series of interviews in the playlist above. cyclocross Hmm all the videos are the same?! Bra gjort Åsa. Lycka till i Eksjö!